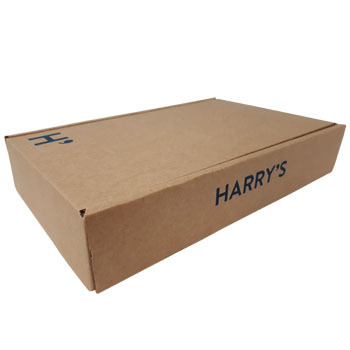 Promotional Harry's Shaving Box is a folding box board package that contains products. 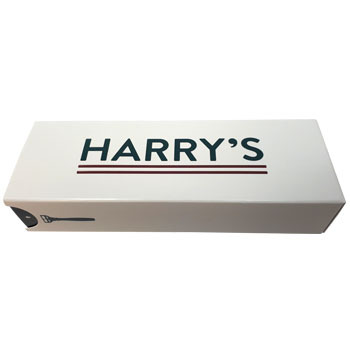 Branded Harry's Shaving Box has uncoated board for the exterior with a one colour print and has a paper coated interior with printing. 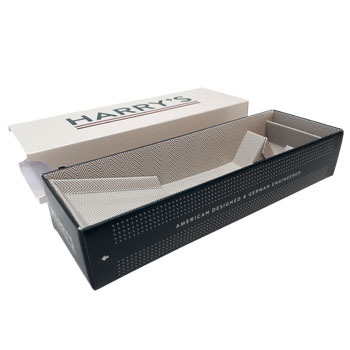 Inside the promotional branded box is two folding box board razer boxes that features a full colour print on both sides.